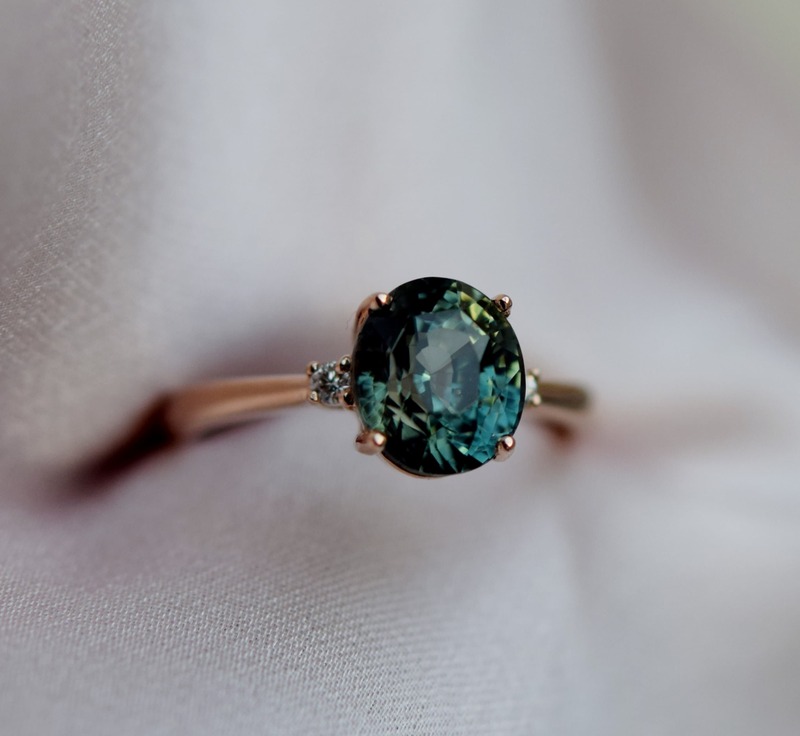 3 stone Engagement ring. 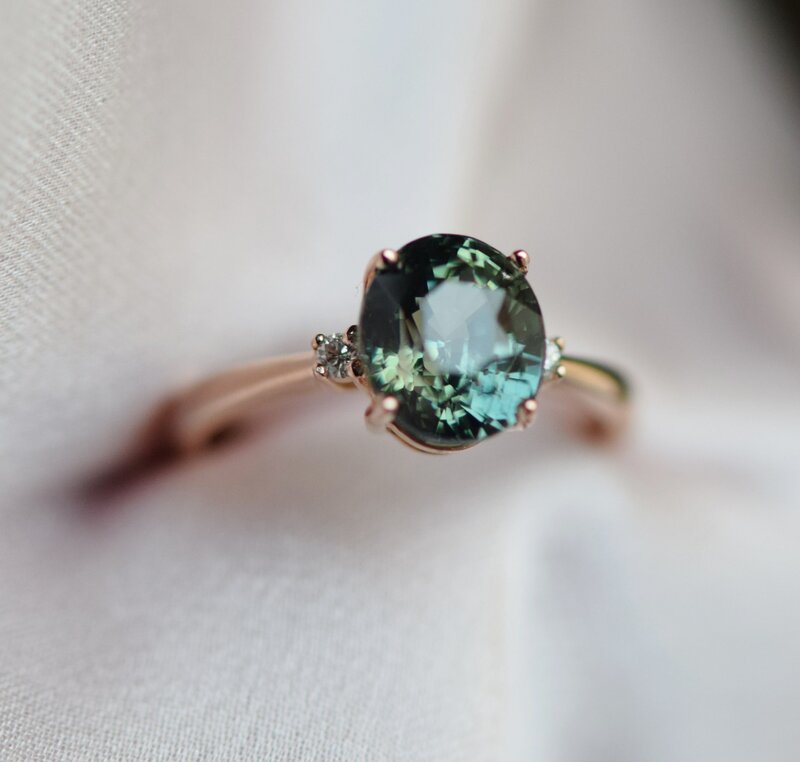 Rode gold engagement ring. 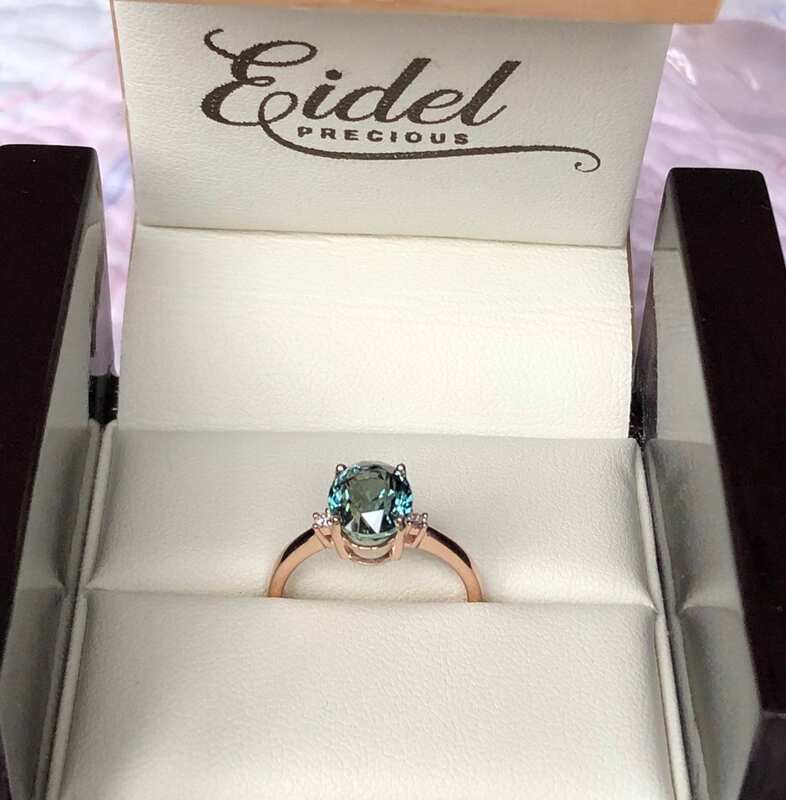 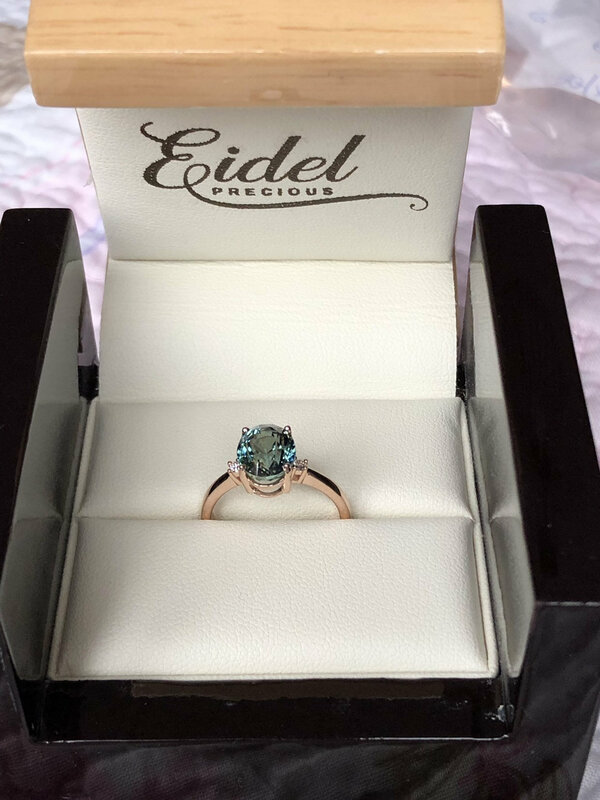 Bi-color Green sapphire ring by Eidelprecious. 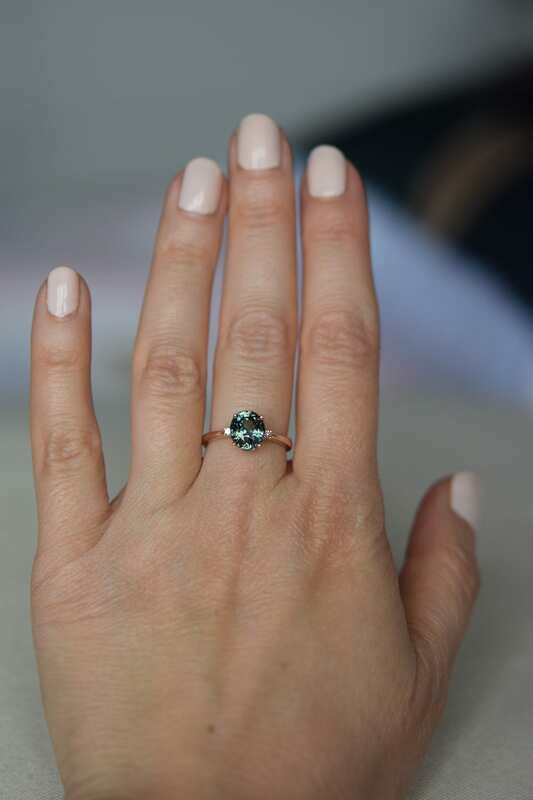 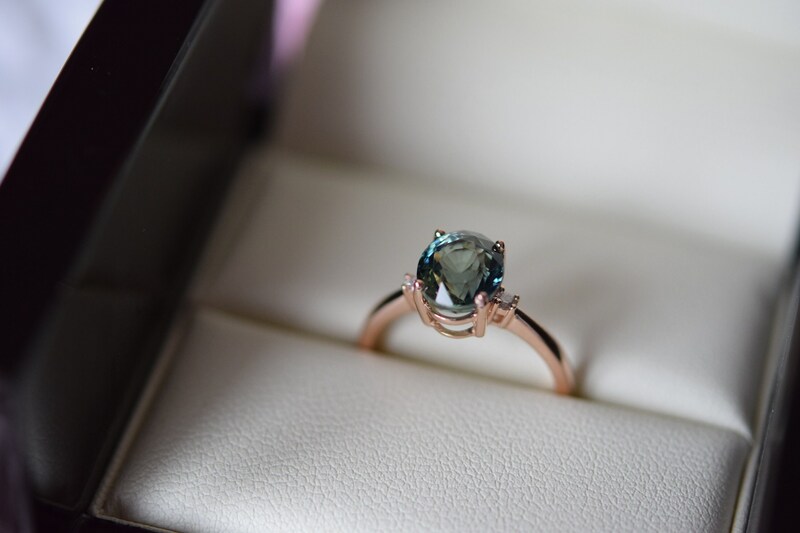 Very beautiful Bi-color Green sapphire ring features a natural non-treated sapphire in gorgeous Blu Green color. 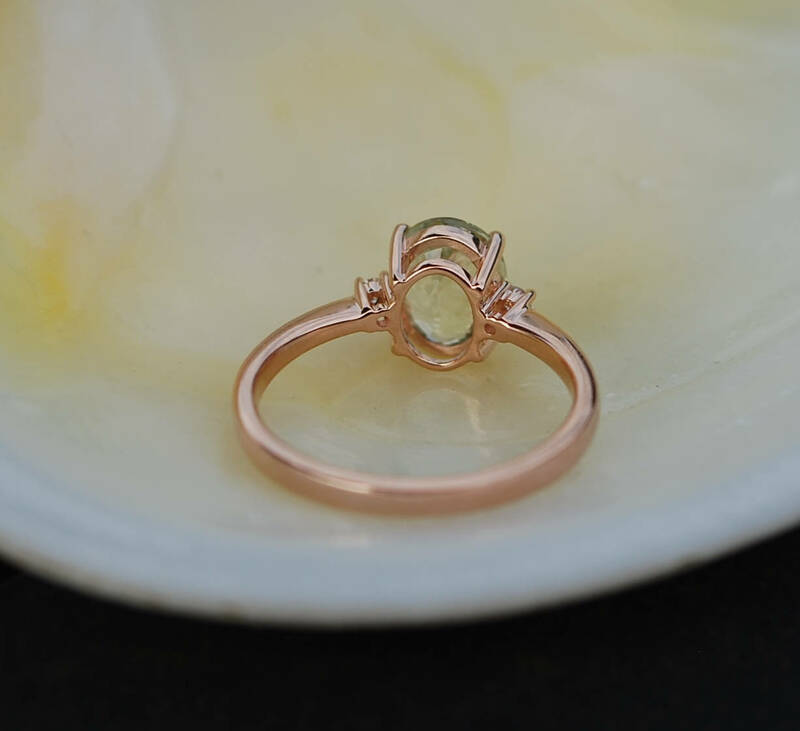 This stone is 3ct, eye clean, oval cut, unheated. 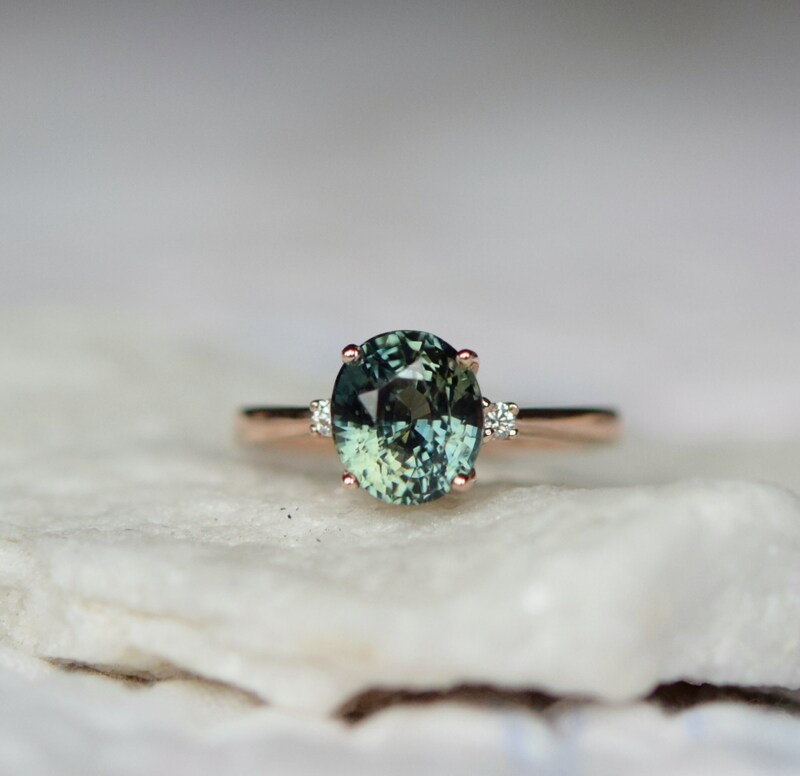 Accented stones are natural diamonds 2 diamonds in total, TDW approx 0.1ct.